Children's Vitamins for a healthy school year! It’s that time again. 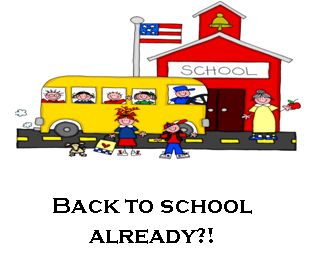 Summer seems like it just started and you’re already back– to– school shopping and the kids have begun their sports. Another school year is upon us and with that comes hectic schedules and demanding extracurriculars. Your children’s health is very important to all of us at Burtis Chiropractic Center because we know the significance of keeping them aligned. We often get asked how someone so young could even need chiropractic care. But between the birth process becoming more and more intervening and teenagers abusing their bodies – from carrying heavy backpacks to constantly bending their necks to look at their cell phones – we understand why more and more kids are suffering from an array of health issues. Spinal subluxations do not just cause back and neck pains; if the nervous system is not working properly then your children can suffer from a lot more like: Fever, croup, poor posture, poor coordination , bed-wetting, poor concentration, headaches, allergies, colic, nervousness, ear infections and many more. Everyone knows how important vitamins are for growing kids. Many parents figure one is as good as the rest. The truth is you get what you pay for. Many discount kids vitamins are manufactured abroad where guidelines are not enforced. Many children’s multi’s have been shown to contain LEAD!!! 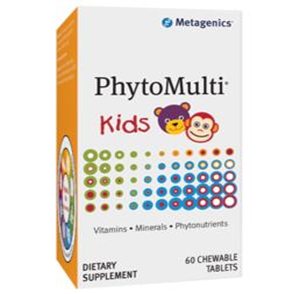 For a safe high quality mutli choose Metagenic’s Phyto Multi Kids. They are a great-tasting vitamin and mineral supplement, designed specifically for children who prefer a chewable tablet. Multigenics Chewable features a broad spectrum of essentials vitamins and mineral amino acids chelates designed for excellent nutrient bioavailability. This unique formula is kid tested, with tropical citrus fruit flavor! DHA is one half of the well-known EPA/DHA combination of omega-3 fatty acids found in fish oil. In children, DHA becomes especially important in that growing neurons and new connections rely on DHA to form the best connection. In children with ADD/ADHD proper DHA levels become especially important in ensuring the optimal balance between an over-stimulated brain and a calm happy brain. Greens are one of the best ways to keep your body’s pH at its best and make up for not getting enough fruits and vegetables. This is especially important for growing kids as their diet is not always the best. Proper pH ensures good immune system function, best possible nervous system communication, and best oxygen levels! Very important for parents who want what’s best for their kids. Dynamic Greens contains a dozen different berries with more than 50 wholesome ingredients. It’s an excellent source of natural vitamins, minerals, antioxidants and the essential fatty acids Omega 3, 6, & 9. Children love the taste and naturally vibrant red color of the drink. 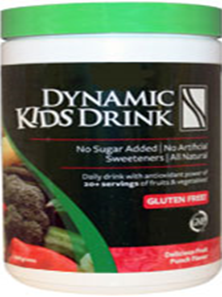 It contains all the benefits of the regular dynamic greens formula, but it is made more palatable to kids without adding sugar. While it was formulated with your children in mind, this is a healthy super food drink that the whole family will love and can enjoy together. It is sure to make them feel more vibrantly healthy! Boost your mood, your immunity, and much more with 20 serving of fruits and vegetables!